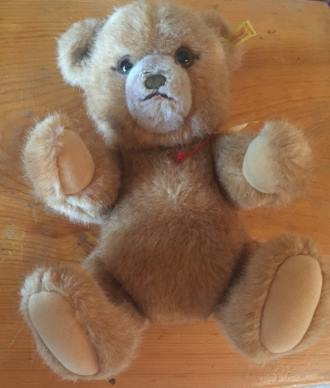 From a Private Collection of Vintage Steiff. Click on the link below for a BIG photograph. 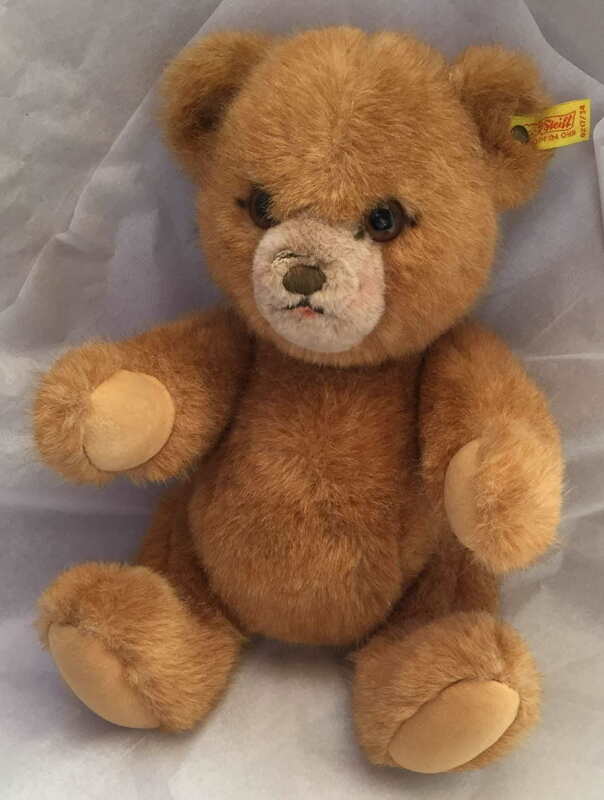 Vintage 1981 Steiff bear. EAN 0217/34 in really nice condition except a small hole above his embroidered nose needs stitching. Steiff - Teddy Bear "Dorma" - 0217/34 - plush Steiff - Teddy Bear "Dorma" - EAN # 0217/34 teddy is fully jointed and about 13" tall. He has his original ear tag, original brown eyes with airbrushing detailing and original mint condition felt pawpads, plus his growler works well.